NEW YORK– Fifth Avenue and Park Avenue in New York City need no introduction, but few may know the stories behind these streets and their buildings. 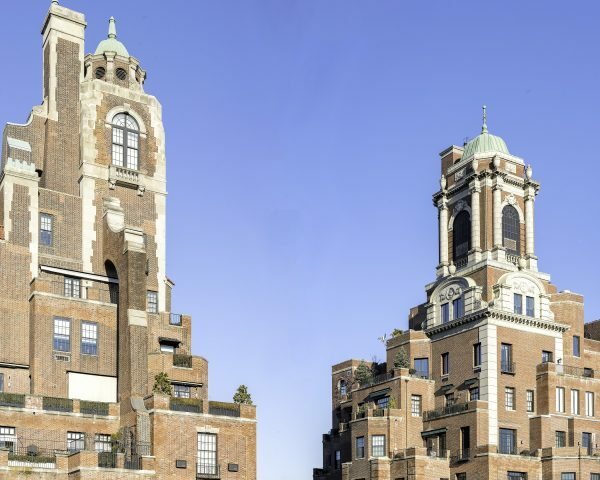 In fact, while the imposing walls of the limestone apartment buildings that frame Central Park may feel like the very fabric of the city, these buildings are a relatively modern creation, less than 100 years old. The museum’s new exhibition “Elegance in the Sky: The Architecture of Rosario Candela,” which opened May 17, explores the 1920s’ grand era of apartment building architecture as seen through Candela’s designs. Focusing on three distinct areas—Fifth Avenue, Park Avenue, and Sutton Place—the exhibition shows how Candela-designed buildings influenced the area and defined an era. Even though the Dakota cooperative apartment building on 72nd Street and Central Park West, for example, had been built in the late 1880s, these three areas were the first big burst of luxury development that changed the landscape, said Albrecht, in anticipation of the exhibition’s opening. Albrecht describes Candela’s work as the perfect example of the social and economic forces that impact building design. So, he wanted an exhibition that explored why the Candela name is still such a magnet in the real estate world. Born in 1890 in Palermo, Sicily, to a plasterer, Candela came to the United States around 1910. Even though he spoke little English at the time, he graduated from Columbia University with a degree in architecture. By 1925, he had his own practice and was working on elite portfolios with Italian-American developers, such as Anthony Campagna and the Paterno Brothers, as well as with the well-known decorator Dorothy Draper. Candela designed or co-designed around 75 apartment buildings, mainly in Manhattan, with some of his best work done in the late 1920s. His architectural career ended in 1929 after the stock market crashed. It was Candela, his colleagues, and peers who introduced wealthy Americans to new ways, or perhaps new heights, of living: the penthouse, the apartment mansion, and the terrace. These structures were partly brought about by zoning laws, which required adaptive and inventive architectural design. Candela fulfilled the need for new housing by designing single-story, duplex, and triplex units, with some apartments even offering private, multistory “maisonettes” at the street level. All of the units were elegant and spacious in their design, which became his calling card. In 1916, New York City passed America’s first zoning law, which required that buildings be built only to a certain height—anything from that point higher needed to set back to allow light to filter down to the sidewalk. Whether a building needed to be stepped back for its height depended on the width of the street and the size of building lot. The new regulation didn’t cap the height of the buildings, but it forced architects to be more creative with the shape of buildings’ silhouettes. ”You’re losing real estate space because by stepping back, you’re getting less space; but by stepping it back, you’re [also] creating these terraces that became very fashionable,” Albrecht said. The top floors of 770 and 778 Park Ave. are good examples of this terracing. Albrecht pointed out a section on the left of the right-hand tower that contains a terrace, a little three-sided bay window, and even a small teahouse. The brick and limestone towers rise 20 stories to an asymmetrical pinnacle. When you look at it, there is a quality of an Italian hill town, he said, but whether Candela was thinking of that we cannot know. Historically, towns that are built over time have variety in form and style. What is interesting about Candela-designed apartments, Albrecht explained, is that he built the variety into his designs. His buildings are not all cookie-cutter shaped; each has unique details. Look closely at the pinnacle of each tower to see the classical details in his design: the scrolls, pediments, and pilasters, and the water tank housed by a domed and columned pavilion. As part of the exhibition, brochures on loan from the Avery Library at Columbia University show how Candela’s apartments were marketed to the monied. The apartments were pitched to rich country homeowners, who may have needed a place in the city, or to those who traveled a lot. Some of the buildings contained rental apartments, a new way of living for the wealthy. One such building is 960 Fifth Ave., which then housed both cooperatives and rentals. At the corner of 77th and Fifth Avenue, a cooperative combined single-floor units and duplexes that lined the avenue side. And along 77th Street were one- and two-bedroom rentals. The cooperative apartments provided the wealthy an investment opportunity: Owners would get shares in the corporation that owned the building, and they could also check prospective tenants’ social standing and finances. In addition, prospective tenants were assured that they need not compromise their standard of living, as each apartment was built to maintain privacy and also encourage entertainment, with large rooms and separate master and servant quarters. 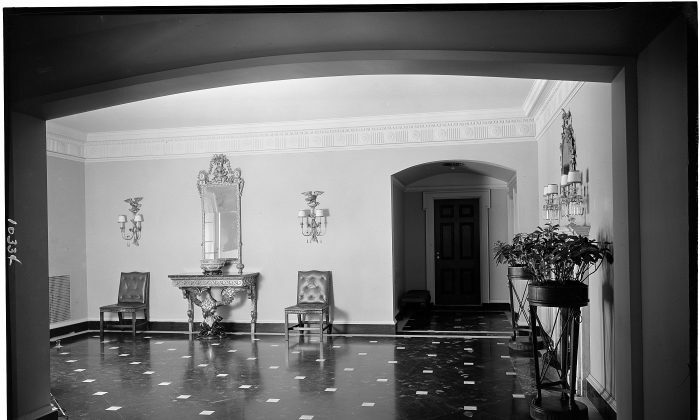 Even for those who wanted to rent, the apartments featured communal lounges and dining rooms to entertain friends. 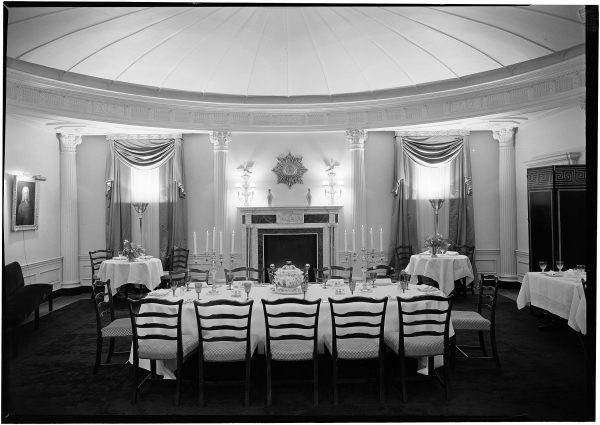 The ground floors had gloriously fancy dining rooms (which are still there today); the one at 960 Fifth Ave. was designed by Dorothy Draper. Albrecht added that, even now, properties like 15 Central Park West have screening rooms for movies and other communal spaces, an old idea that is being brought back. The designation “Candela designed” seems the epitome of architectural elegance and enduring luxury design. But put the class and money associated with his name aside for a moment. Looking at his architecture alone—the variety in the design details of his interiors and exteriors, the way he accommodated classic design to new building regulations, and the way his work served to market a new way of living—we can see that he seemed to understand, quite simply, his time and the people of it.